Alfred Dunhill Ltd. is a world known English company, a brand of men's products de-luxe, which provides the true connoisseurs of the English luxury with clothing, leather accessories, writing implements, jewelries, lighters, fragrances and, of course, watches. The brand’s founder is Alfred Dunhill, the son of entrepreneur who owned a famous saddler business in London. But the 20 century replaced horses with more practical and powerful automobiles. 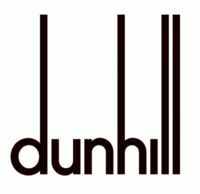 It gave enterprising people a wide range of possibilities, and the company of Dunhill began its development with the production of accessories and clothing for the first drivers. The slogan of Alfred (1872-1959) said: “It must be practical, safe, beautiful, and durable, and it must be the best”. More than 100 years this philosophy underlies the Dunhill's business. Few people know that Alfred Dunhill started his way to the world of beautiful and sophisticated things in 1893. The first shop “Dunhill's Motorities” was opened at Euston road, London. Since 1903 this shop had watches in sale. Those water resistant watches caused a great sensation in foggy London. Dunhill became interested in wrist watches in the middle of 20s. They were distinguished by novelty and vivid design. The regular customers had an opportunity to choose different watches in the catalogues: square, round, diamond-shaped, men, and women watches. By the end of 20s a wide range of bracket clocks appeared in the watch collection. However, the audience was mostly admired by the design know-how in 1926: the clocks were built in the case of classic lighter “Unique”. The trend of unusual things remained, and in 1928 the watch «Reversible» were built in the silver buckle of men belt. The wrist watches and writing implements appeared in the collection when the contract with Japanese Namiki was concluded. Three years ago CEO A.Dunhi'U Ltd Simon Critchell began collaborating with Tom Bolt, an expert of Haute Horlogerie and founder of the biggest site of hi-end collection and new watches - www.thewatchguru.co.uk. Bolt studied the famous clothing, cars and smoking accessories, and as a result of his studies the collection «Innovative Watches Since 1903» appeared. The designer managed to catch and show, perhaps, the most important feature: the English delicate nobility and elegant restraint together with functionality. Bolt defined the predecessor’s style as an “elegant funk”: “I don’t think that Dunhill needs to become one of the leading watch manufacturers in the world. We should become a niche brand for those who are aware of Dunhill”. This collection embodies the taste of true connoisseurs of Dunhill – the motorists. So, the watch glasses and facets of the City case remind the first Rolls-Roys headlights. You are offered to value the comfort and elegance of the case curved on your wrist, to pay attention to color design: the top of the CityTamer case is made from pink gold, the bottom – from white. The parts are connected with gold sunk screws. The gold color is played up with hands and indexes on the dial. The CarWatch model has a plate at 6 hours, where you can engrave your car’s number. If you often change the cars, an 18-carat gold plate is applied to the watch. The PetrolHead is distinguished by the fixing of strap to the case, resembling the car fuel margin indicator. The design of chronograph BobbyFinder is distinguished by its journey into the history, playing on almost legendary binocular glasses, which Alfred Dunhill produced in the beginning of past century so that the motorists could notice the policemen from afar. The modern creation of Bolt gifted this unusual model. The point is that the designer doesn’t like the projecting buttons of chronograph: Tom thinks they are not esthetic. As a result, the lateral part of BobbyFinder case is provided with patented steel blind, which fully hides the unloved buttons. You need to lift the blind to open the buttons and switch on the chronograph. As a result the customers got unusual and universal watches: pull down the blind and you get a chronograph, which will match even the official suit, instead of sport model. In a word, the Dunhill watches can become a perfect accompaniment to the gentleman image of the XXI century, to the image of a man who values the name of the legendary brand and excellent quality. The designer notes: “Well, I think Sir Alfred would have liked the new models – the designer CarWatch, WheelWatch and PetrolHead, the sport-classic CarWatch, WheelWatch è PetrolHead, the chnorographs BobbyFinder, and the ladies Parody Rose. Each model is distinguished by the pure English delicate nobility and focused functionality”. Today Alfred Dunhill’s office, as many years ago, is situated on the most prestigious street of London – Duke Street, Saint James’s. It is famous for the luxury products, mainly for men, which are sold in more than 130 points of sale in 40 countries around the world. The watch collection combines the best English design and Swiss craftsmanship. Alfred Dunhill used to say: “The quality is kept in mind long time after the price is forgotten”.